Alpha Cook: Sprouts! 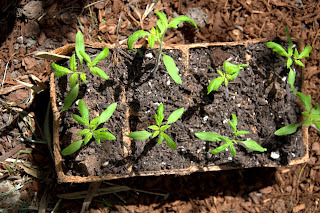 Seedlings, Tomato Tips, Nematodes and More! Sprouts! Seedlings, Tomato Tips, Nematodes and More! It's about that time. The time to get those little sprouts out of the house and into the ground. 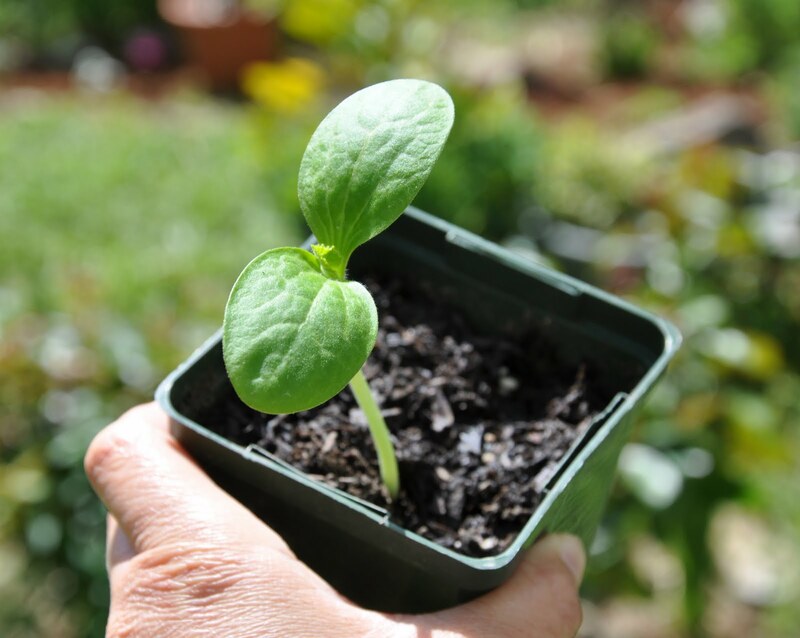 If you have seedlings that are particularly delicate, you can replant them in a larger container before releasing them into the wild. But if you're planning to get them in the ground this weekend, start setting your seedlings outside now for a few hours every day (provided it's not going to rain on them). Bring them in at night when it gets cold, and during any particularly hot stretch of the day. This process, hardening your plants, will prepare them for the outdoors so they don't get shocked by their full time move into the harsh elements. They've been spoiled by the pleasant conditions of your house or garage and they aren't accustomed to extreme cold or heat. I recommend setting them out for at least 4-5 days, if not a full week, about 3-5 hours a day. When you're ready to plant, you'll want to amend the soil with compost, fertilizer, or both. Water the seedlings lightly about 15 minutes before removing them from their trays/containers. If the roots have grown aggressively, gently loosen them with your fingers. After planting you seedlings in the ground or raised bed, water them again. Not necessary but helpful: to prevent weeds and help retain moisture, apply a layer of mulch, like pine needles. If your plants have their true leaves, but don't seem sturdy enough to plant yet, try moving them to a larger container to let them develop for another week or two. I try to do this anyway, just to get a stronger and more reliable plant. These guys like a lot of sun and rich soil. If you had tomatoes, peppers, eggplant, or potatoes in your garden last year, pick a different spot for them this year. Tomatoes are “heavy feeders,” which means they leech the soil of nutrients and all that good stuff. It also makes them more susceptible to disease. Most sources recommend that you not plant this group in the same spot for 2-3 years. Rotate in lettuce, spinach, carrots, chard, or onions instead. Planting a marigold next to each tomato plant can help prevent nematodes, which can wreak havoc on your plants and fruit. 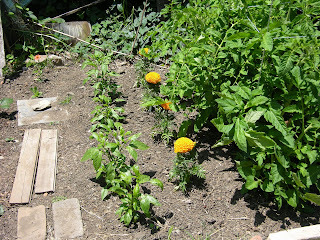 I like to plant a row of marigolds on each side of my tomatoes, like a little fortress of flowers. Once in the ground, frequent light watering of tomato plants can lead to shallow root growth. Instead, water your plants deeply once a week. Doing so can also prevent the fruit from splitting. Also, try avoid dirt/mud splashing onto the leaves when watering, this can lead to an unhealthy/diseased plant. Don't forget to trellis or stake your plants! And don't wait to long to give them that support; once your plant is established, you can damage the roots by sticking a tomato cage around it.